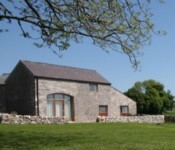 We have two other cottages in the Peak District, both of which sleep 4. 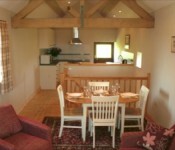 The Byre and Hayloft Cottages are converted barns set in a rural location between Buxton and Bakewell. 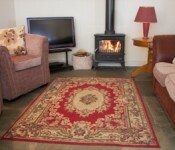 Our cottages near Bakewell, can be found at Peak District Holiday Cottage. Two cottages, each sleeping 4, are ideal for those needing absolute peace and tranquility in a rural environment with views "to die for". 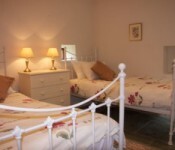 Hayloft Cottage offers a mezzanine double bedroom with all other facilities at ground floor level. Byre Cottage offers “upside-down” holiday accommodation with the Kitchen, Lounge and Dining area providing 360-degree views of the surrounding countryside. Both have FREE WiFi with 10Meg Internet connectivity.